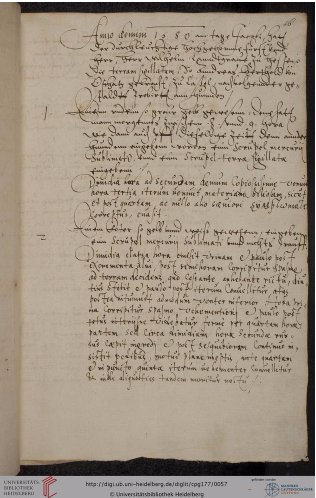 Years ago, in a recipe collection belonging to Countess Elisabeth of the Palatinate (1552-90), I found a fascinating entry: a copy of an official document that described trials of a poison antidote on dogs, which I described in a post on this blog. My interest in that document has expanded into an entire book project on poison trials. Because these trials feel vaguely like an antecedent to modern clinical trials (with many twists and turns along the way), I’ve found that this project has provided an exciting opportunity to introduce early modern medicine to a medical audience. 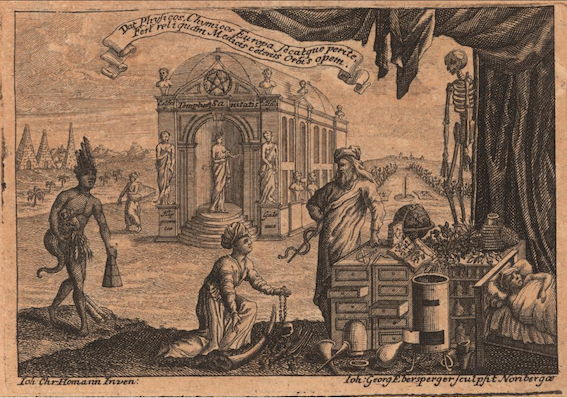 Last month Justin Rivest and I had the privilege of publishing a short piece, “Medicine, Monopoly, and the Pre-Modern State: Early Clinical Trials,” in the New England Journal of Medicine. Just a few days later, I published a blog post titled “Poison Trials on Condemned Criminals under Pope Clement VII: A Medical and Moral Testimonial” for the Sperimento blog, run by the Medici Archive Project. The juxtaposition of these two pieces, of similar length and on similar topics but in two very different venues, led me to reflect on writing history for non-experts, and on how different it is to write for doctors than for historians. Because the Recipes Project blog intends to reach a wide audience, I thought it might be interesting to jot down some thoughts on the experience here. 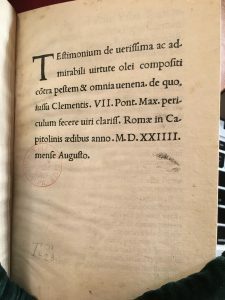 Testimonium de verissima ac admirabili virtute olei compositi contra pestem & omnia venena (Rome, 1524), BNF. The NEJM piece, on the other hand, was far harder. We had to plan the article out very carefully. The word limit was officially 1,200 (although they happily ended up being a little flexible! ), and it needed a lot of framing on each end. Justin is an expert in seventeenth- and eighteenth-century France, and I was highlighting work from sixteenth-century Germany. That left each of us just a couple of short paragraphs to present our case from our own research and to tie everything together. This is apparently the first time the NEJM has published a piece on early modern medicine, so we tried our best to make it fit into categories that medical readers would find familiar. That meant keeping modern medicine as the standard against which we compared our historical case. It also – helpfully – forced Justin and me to come up with a coherent narrative over a long period of time. The hardest part – for me at least – was the footnotes. 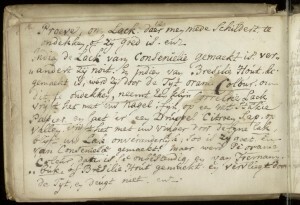 The journal allowed only five references, which was very hard for two historians with two completely different sets of research that drew on archives as well as printed sources. Justin and I worked and worked to get it down to the requisite number and felt pretty good about the result. Then the peer reviews came back – and the editor clarified that five references meant individual references, not footnotes. Because some of our footnotes contained multiple sources, we had to cut out an additional six references. Uff. We simply had to give up on documenting everything, and I learned how uncomfortable that made me. Would historians think that the article was shoddily researched? Maybe, but I kept reminding myself that historians were not the main audience, an important distinction when I had to choose between my archive and an important English-language journal article. Were I writing for historians, I almost certainly would have picked the archive, to show all the great (hard!) research I’d done. 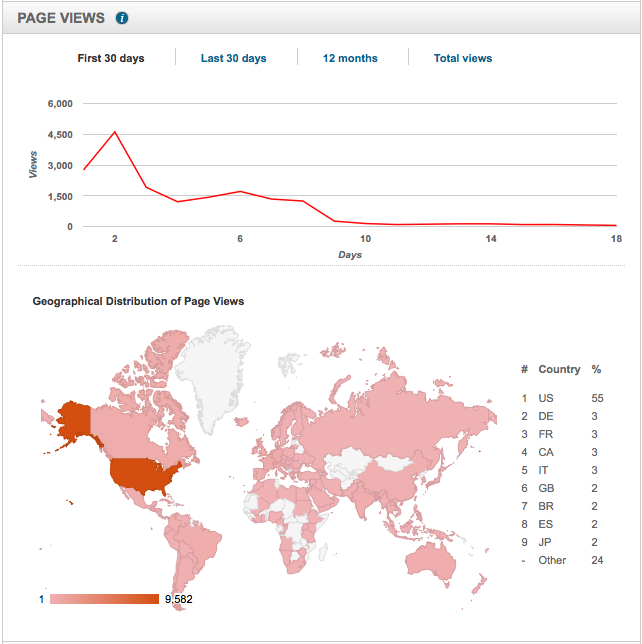 In this case, I went with the article, on the theory that an interested reader could follow up with it more easily. The fun part of writing for the NEJM was thinking about how to make early modern medicine seem something other than “wrong.” We went for the basic takeaway point that trials (even in a very, very early form) have been used to assess drugs for a really long time. I also did a short podcast with the journal, to expand on certain points. I didn’t have the questions in advance, and I couldn’t help but cringe a bit when the interviewer straightforwardly referred to our historical actors as “scientists” and “researchers,” but in some ways that was validating, as it suggested he was treating our subject with respect. 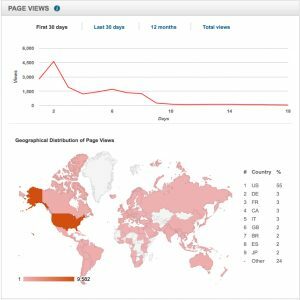 I hadn’t quite thought about how far-reaching a top medical journal is – that short essay may well be the most widely read thing I ever write. Most gratifyingly, I received a lovely e-mail from a former student – now a doctor – who was delighted to see his old professor pop up in an unexpected place. But overall, the consensus from Twitter appeared to be “Wow! I had no idea that people were testing drugs that early!” In some ways, that is exactly why we do public history – to make people look at the past a little bit differently and, hopefully, to put modern trends in context. Being forced out of your comfort zone (footnotes!) also makes you think carefully about what message you really want to share. And of course readers of this blog will not be surprised to learn that recipes can lead you to all sorts of unexpected places! What did it mean to test a drug or try a cure in the early modern world? This was the central question for a group of scholars who gathered for a workshop at Max Planck Institute for the History of Science in Berlin, Germany. Since recipes emerged as one of the key themes throughout the workshop, and because the conference’s location in Berlin made it difficult for scholars outside of Europe to attend, we thought we might share a brief summary of the “Testing Drugs and Trying Cures” papers, in the hopes that we could bring the workshop’s key ideas and discussions to a larger audience. What emerged from an exhilarating two days of discussion and debate was the conclusion that historians of science and medicine should not privilege experiment and experimentation as fixed categories, but should understand the multiple ways in which physicians, apothecaries, artisans, institutions, and individuals in the early modern world tested, tried, investigated, experienced, modified, observed, and measured medicinal remedies and materiae medicae. 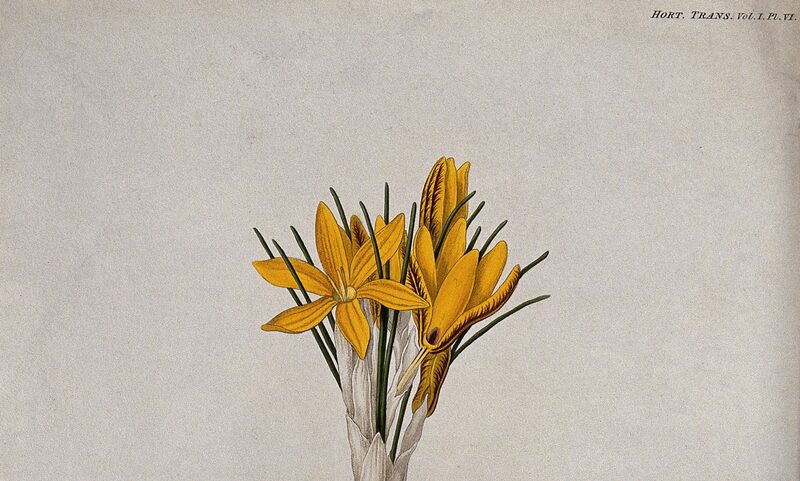 As written forms of medical and pharmaceutical knowledge and practice, recipes played an important part in the testing of drugs and cures, and our discussion raised larger questions surrounding the nature and purpose of an early modern recipe. 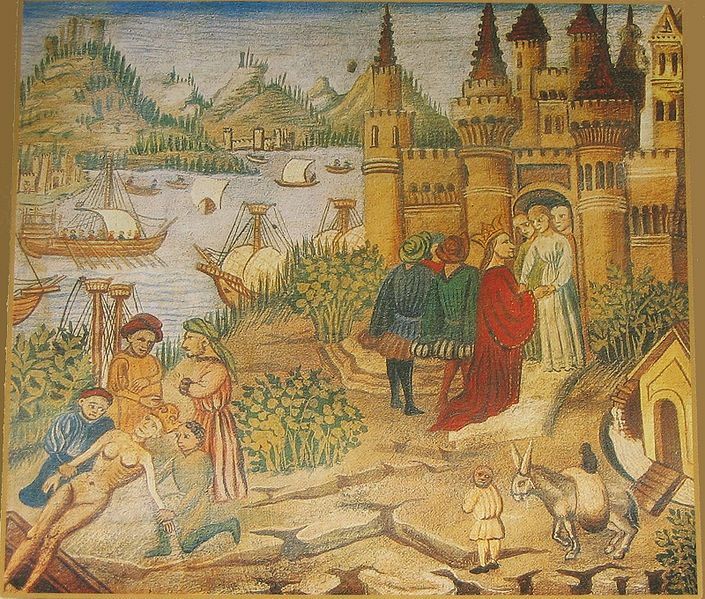 A miniature depicting the Schola Medica Salernitana from a copy of Avicenna’s Canons. From Wikimedia Commons. Michael McVaugh’s paper opened the discussion by exploring how medieval physicians went about testing drugs. Learned doctors in the Middle Ages might appear helplessly hidebound, and inclined to follow ancient authorities over experimentation. In contrast, McVaugh showed how a group of Montpellier physicians in the fourteenth century established something of an experimental program. Medieval physicians, however, were not testing to find a cure, but to determine the quality, strength, and effectiveness of a drug as it pertained to a particular person’s complexion. McVaugh underscored an important difference in the purpose of medieval drug testing. Physicians tested not for universal effectiveness, but to determine the quality of a drug – was it hot, cold, moist, or dry. Although it became clear in our roundtable discussion that we should be wary of labeling such practices as obvious precursors to the experimental philosophies of the Scientific Revolution, many of the papers showed that the importance of specific tests resonated throughout the early modern period. Evan Ragland’s paper, for example, traced the use of the phrase periculum facere (‘to make a trial’) in physicians’ writings on medicine, anatomy and chemistry. 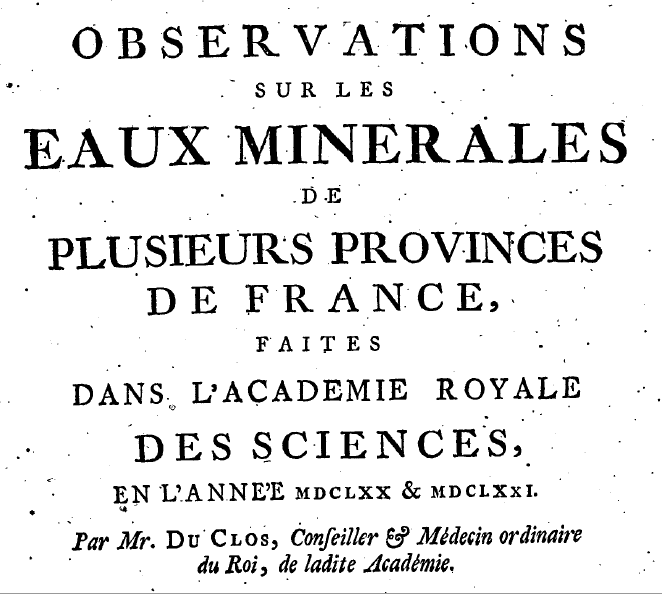 Similarly, Michael Bycroft showed that French physicians and chemical experts of the Académie des Sciences became increasingly interested in the exact composition of mineral waters. Contrived tests such as color indicators or the analysis of residues after evaporation increasingly became the touchstone of proper inquiry. McVaugh, Ragland, and Bycroft’s papers all underscored the need to understand the specific nature and purpose of testing in each historical context. Continuing to emphasize the importance of historical context, Francesco Paulo de Ceglia’s paper showed just how different the purpose of testing could be in the context of seventeenth century blood miracles in the Kingdom of Naples. Catholics tested the liquefaction of the blood of their patron saint to explore the limits of nature. By discovering nature’s limits, you could then determine what was truly miraculous. Protestants, on the other hand, tested various materials and recipes to recreate the liquefaction of blood to cast doubt on the alleged miracle. 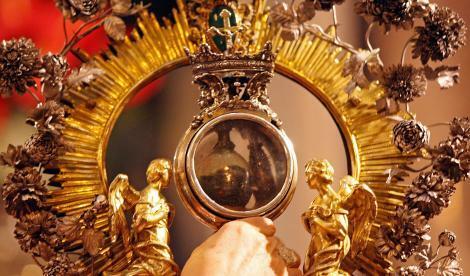 Reliquary containing a glass ampoule of San Gennaro’s blood. From La Repubblica. In the context of testing, drugs and cures are often under scrutiny in the form of recipes detailing their production and administration. While recipes emerged from many of the papers as very important forms of knowledge, it proved virtually impossible to define exactly what a recipe was. Recipes can be very short or very detailed, ranging from a mere list of ingredients to careful step-by-step instructions. If there is one thing recipes have in common, it is the need for testing, trying, modifying and adapting to different conditions. While constructing an all-encompassing definition of a recipe proved futile, all agreed that it was fruitful to understand recipes as an important genre in early modern science and medicine. For her investigation on the testing practices of Venetian apothecaries, Valentina Pugliano emphasized the difference between experiment and experience. Venetian apothecaries were less concerned with testing drugs (in a traditional sense) than they were with the experience or truthfulness of their ingredients. 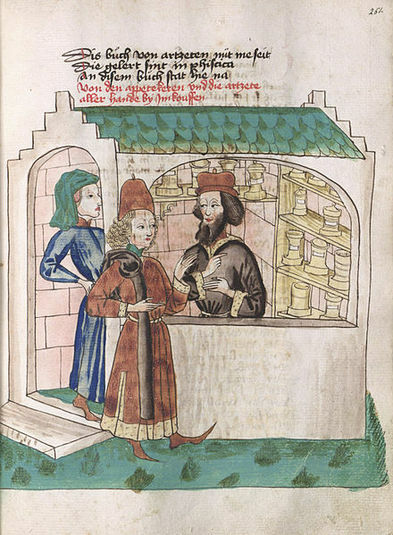 Testing by inspection, smell and taste was also important in this pharmaceutical context, to ensure that the ingredients were what the merchant had promised them to be, and not a cheap substitute with inferior properties. For Pugliano’s apothecaries, the important issue that required testing was the authenticity of the ingredients rather than the efficacy of the finished product; after all, most preparations had proved their worth since antiquity. Like McVaugh, Pugliano questioned traditional “Baconian” understandings of what it meant to experiment and test and argued for more nuanced notions of testing and trying, which included observing, measuring, evaluating, and experiencing. 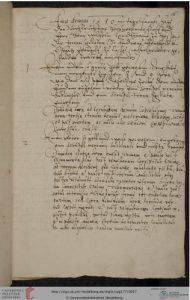 With early modern Europeans’ increasing forays into the New World, however, more and more materiae medicae were found which were absent from ancient medical writings. 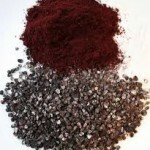 Pliny and Dioscorides were silent on such substances as guaiacum wood, Peruvian bark or New World balsam, so their medicinal properties had to be newly investigated. Antonio Barrera-Osorio and Samir Boumediene’s papers added America, or the New World, into the discussion. Both emphasized the role of new drugs and materia medica in the rise of European experimental practices. New drugs and new medicinal recipes required new ways of testing. Antonio Barrera-Osorio’s paper argued for an empirical culture in the Spanish empire, which was well suited to respond to these challenges. He showed how his protagonists gathered information about New World remedies from natives or travellers and experimented with ways of preparing them. Some of these drugs and recipes were deemed so important for the economy and health of the empire that the Spanish crown ordered tests in hospitals all over Castile. Samir Boumediene’s paper elaborated on the issue of making workable recipes for newly discovered drugs. Once more, taste and smell were important assays, but drugs such as guaiacum and Peruvian bark were also tested on a larger scale. Dispensing them to the poor inmates of charitable hospitals (as happened in France and Germany) helped to determine their effect, and to establish recipes, which indicated how to adjust the treatment in individual cases. Gianna Pomata and Marta Hanson’s paper showed how recipes also functioned as vehicles of knowledge between different cultures. Recipes, as either formula or prescription, were both found in European and Chinese medical cultures. 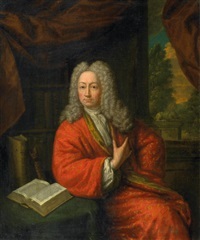 According to Pomata and Hanson, it was the familiar genre of the recipe that facilitated the transmission of Chinese pharmacology to Europe in the second half of the seventeenth century. Similarly, Carla Nappi argued that the Manchu medicinal recipes of the Qing court were spaces of encounter and medical translation in the early modern world. 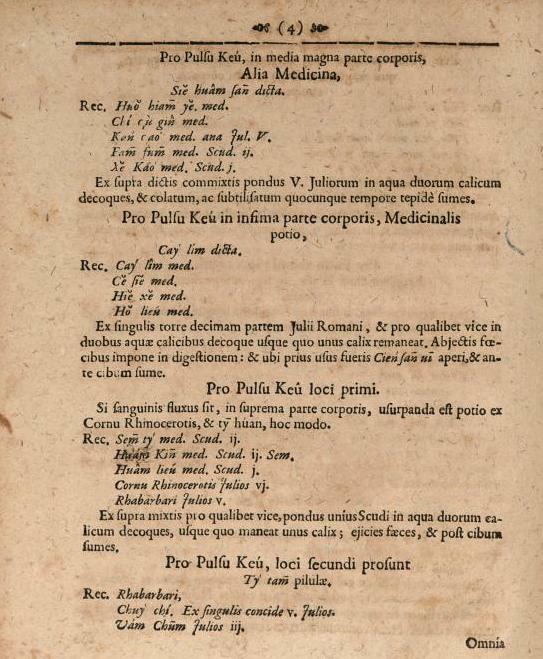 Pomata, Hanson, and Nappi demonstrated how the recipe served as the common ground between European and Chinese medicine and made the translation of Chinese pulse medicine and the transmission of Chinese materia medica possible in the seventeenth and eighteenth centuries. Although recipes are difficult to characterize as a genre, it is clear that they are fascinating objects of historical study. More often than not, they are fluid rather than fixed forms of knowledge, requiring adaptation at every turn. They bring together ingredients, practices and often practitioners from all over the world, and themselves have a tendency to aggregate into larger collections. As written manifestations of gestures and processes, they play an important part in testing, assessing and modifying drugs and cures.